Chrome: If you need a little help staying away from distracting web sites when you need to focus, or you want to give your sanity a break and block specific topics, SiteCop can help. Once installed, tell it when and how long to keep you focused, give it web addresses or keywords to block and it will do the rest. SiteCop is simple and free (although the dev does accept donations to keep the project updated). 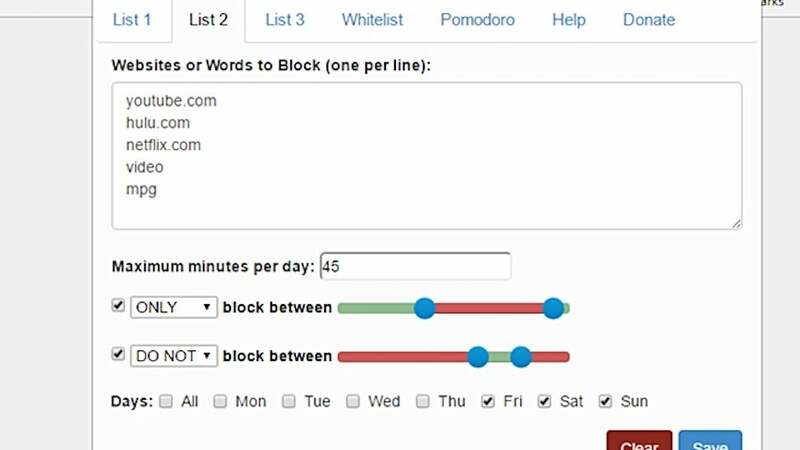 You just tell it what web sites you want it to block, any special keywords to look out for (which can be a bit aggressive, so be careful on that front), and then tell it which days it should be active. You can go further and tell it which hours on those days it should be active as well. You can even schedule specific hours when it should never be active, if you want to make sure it's always out of your way at specific times of the day. As a bonus, the add-on even has a built-in Pomodoro timer to keep you on task but also remind you to take good, resting breaks before you dive back into your next task. It's a great little add-on with a ton of features, especially if you could use a little help — or even a quick sanity check asking you if you really want to head over to YouTube when you should be writing. Hit the link below to try it out.